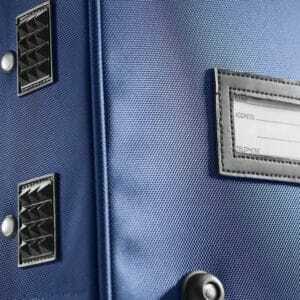 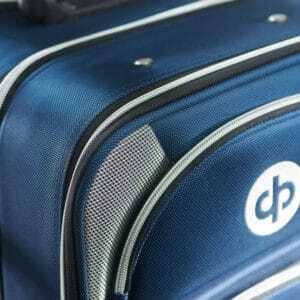 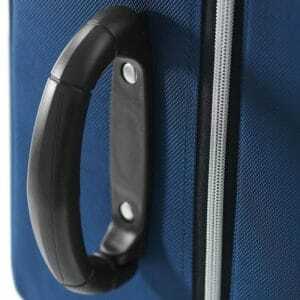 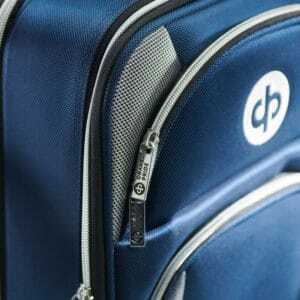 A compact trolley bag that offers good storage yet still small enough to fit in most club lockers. 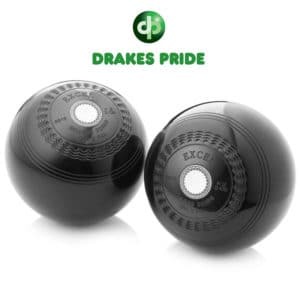 Can hold 4 bowls and a large pair of gents bowling shoes with ease. 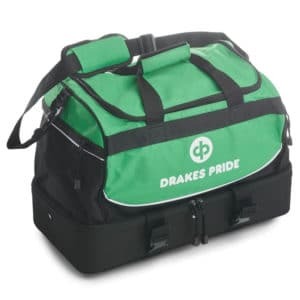 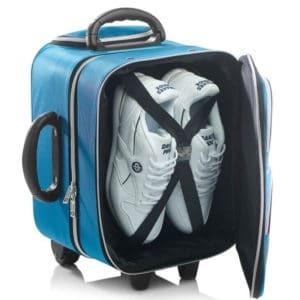 The aim for this trolley bag from Drakes Pride was to keep the bag small enough so that it can be placed in a club locker, but also really maximise the internal storage of the bag as much as possible. If you scroll through the product images you can get an idea of how much these bags will hold. 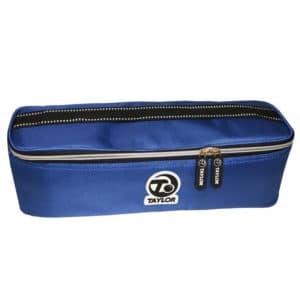 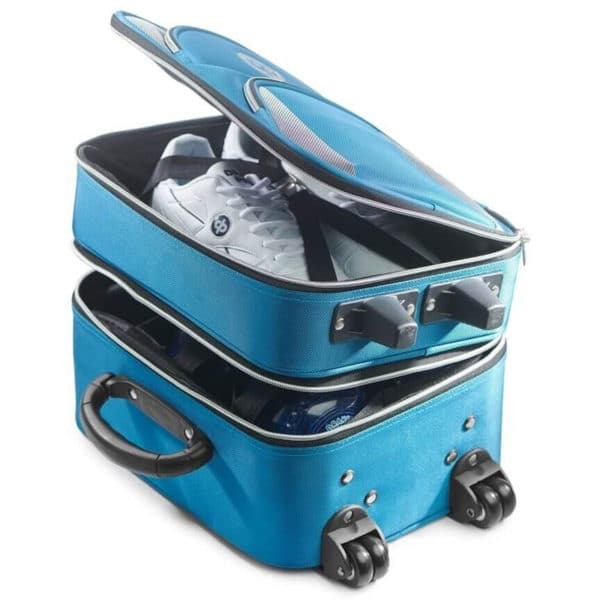 Split into two main compartments, the lower section can easily accommodate up to 4 bowls, with the second compartment a great place to store bowls shoes or some items of clothing. 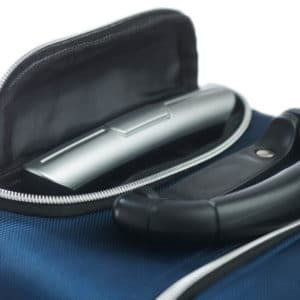 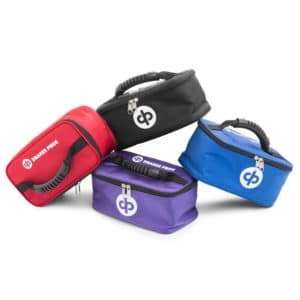 The front zip pouches on the bag also offer additional storage options for say a mobile phone or score guard, Grippo, or any other smallish bowls accessories you might have. 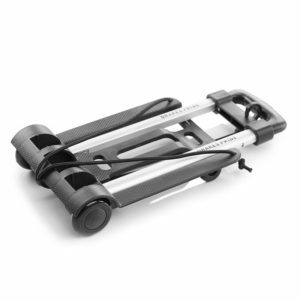 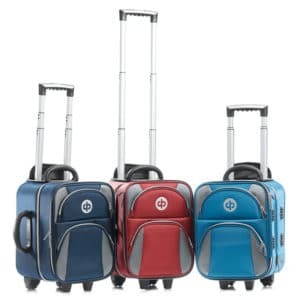 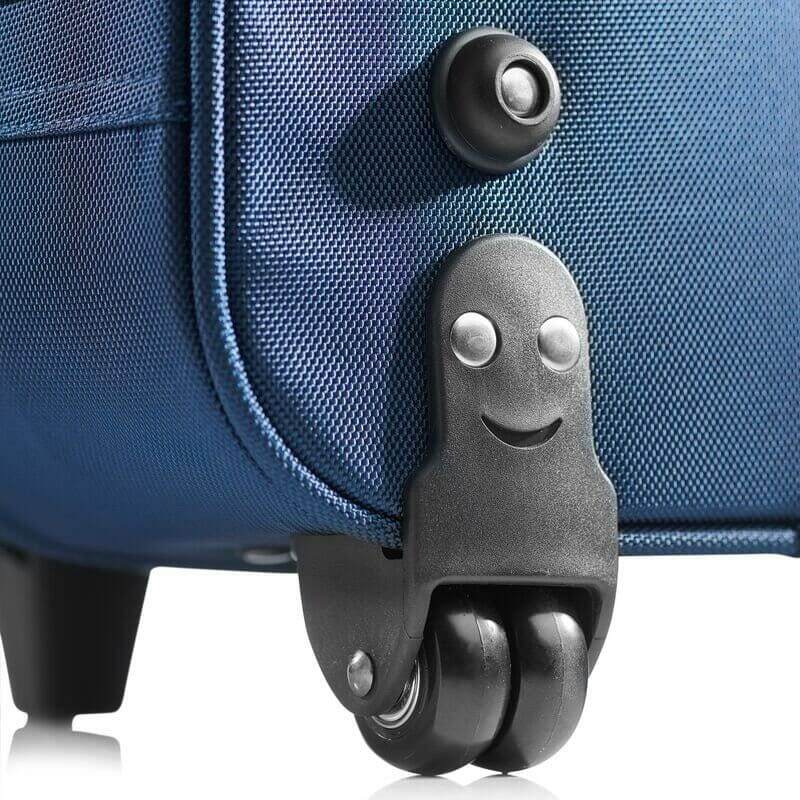 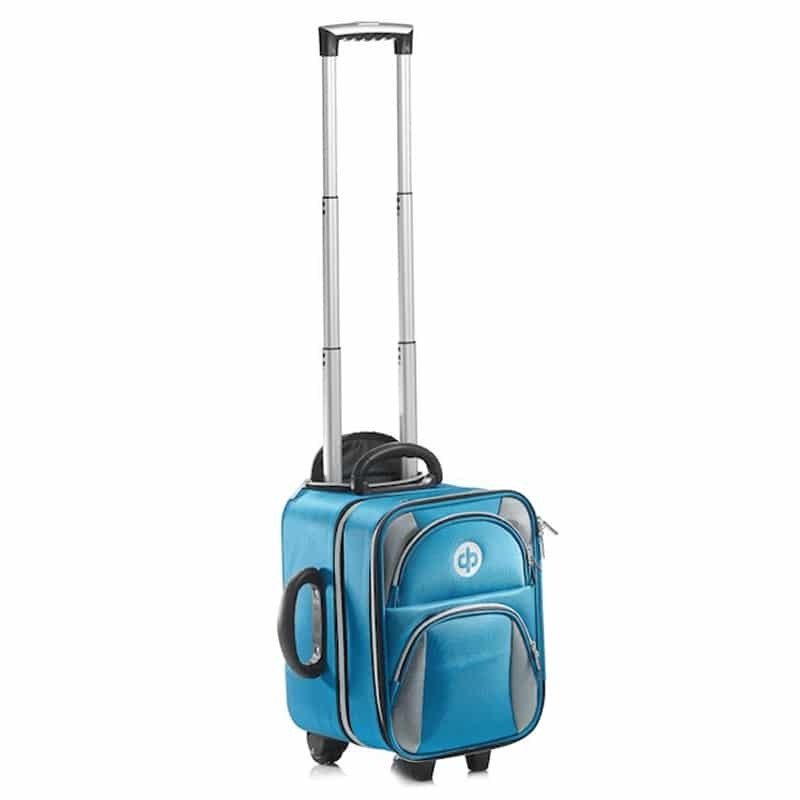 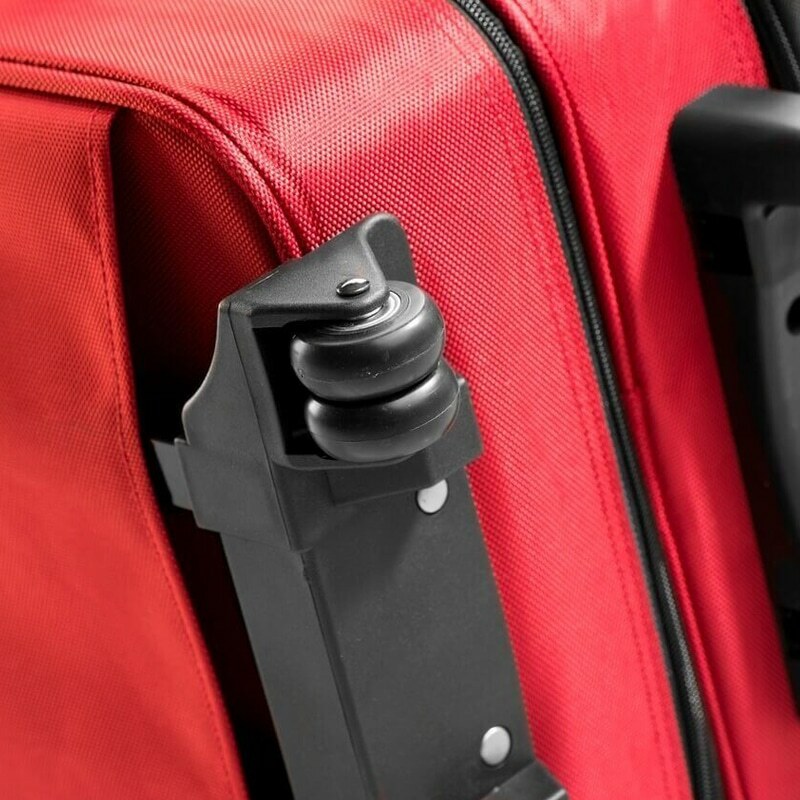 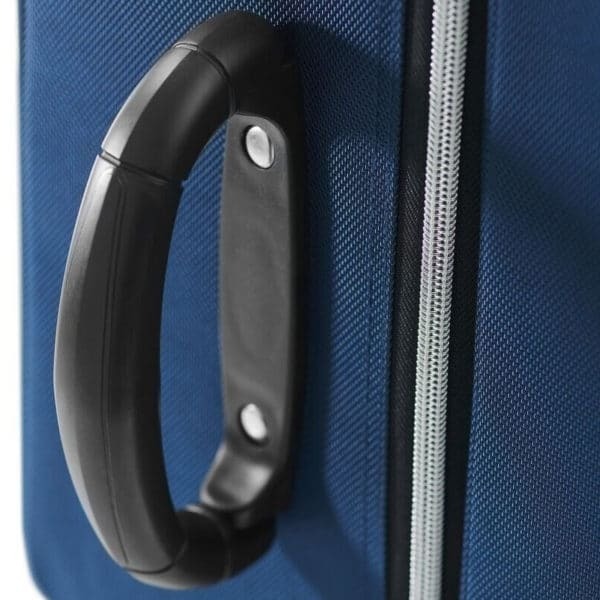 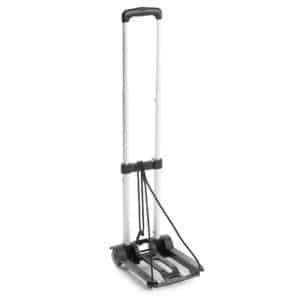 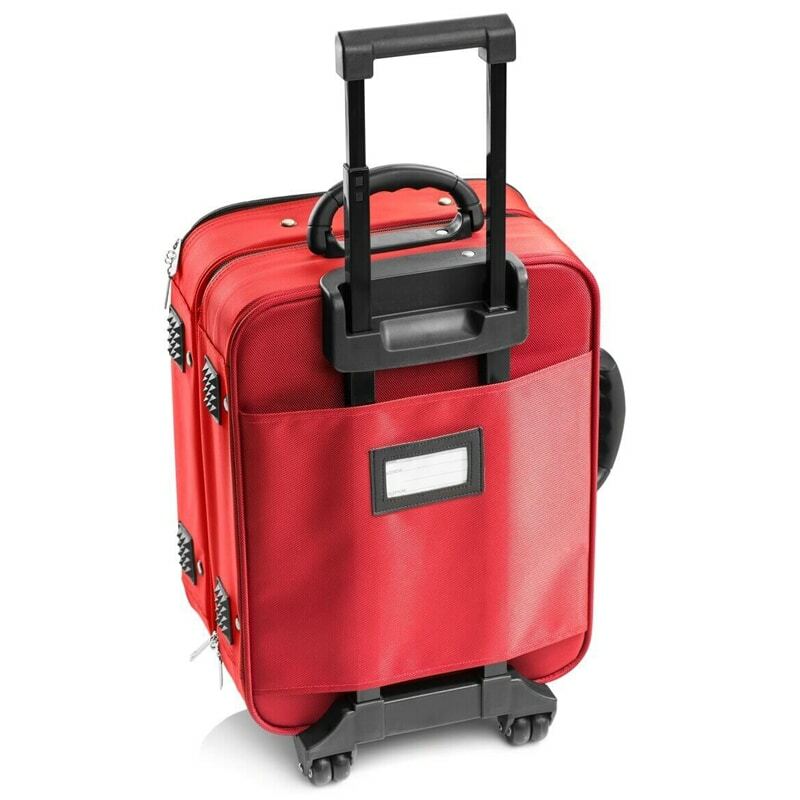 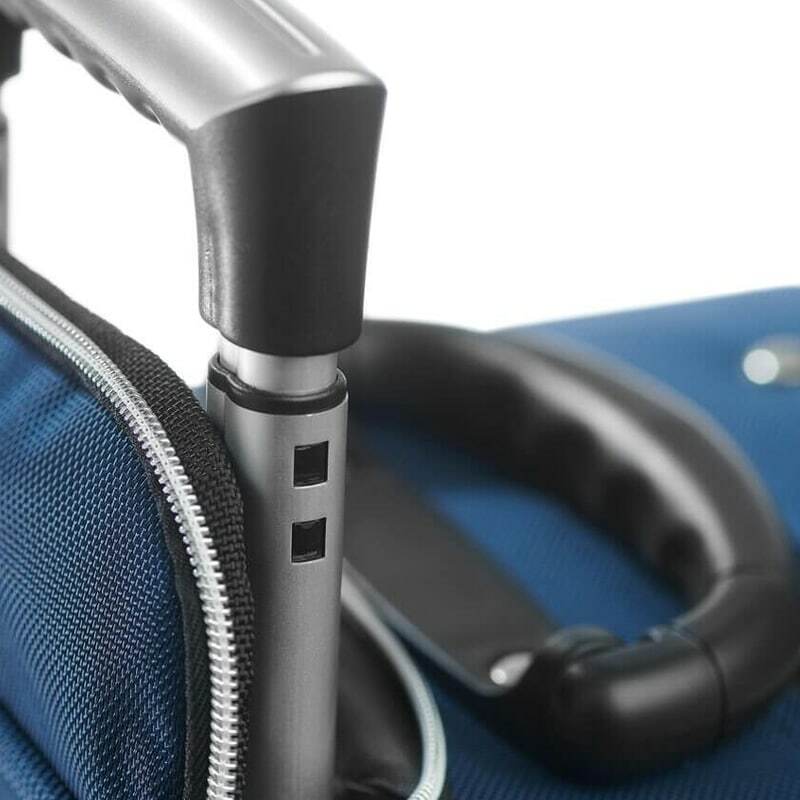 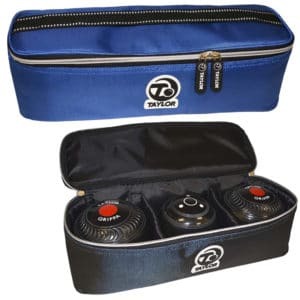 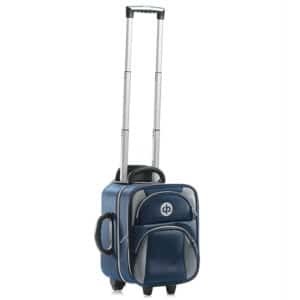 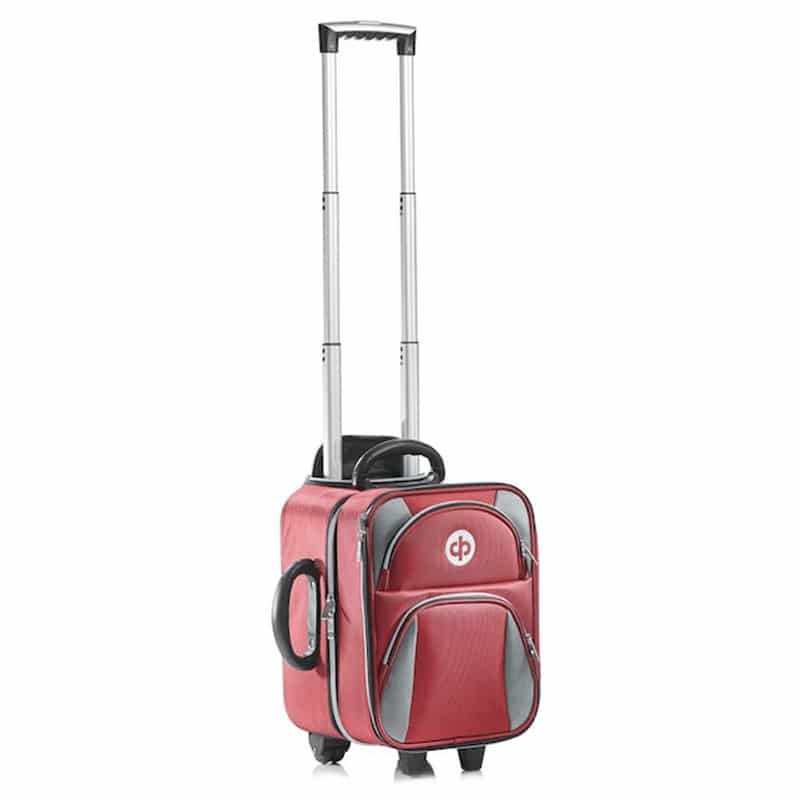 Made from durable nylon, the locker trolley bowls bag also features a dual-wheel design for increased stability and movement, along with a telescopic handle that you can set to the desired height. 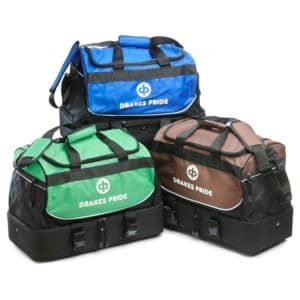 Available in a selection of colour options including Maroon, Navy and Petrol.